If you are looking for a powerful and appealing ecommerce plug-in for wordpress, then WooCommerce is an ideal option for you. It is available for free for its millions of users and was developed by. With the help of its extendable ecommerce plug-in, you can sell anything. It helps to transform your ordinary word-press site into a well-noted e-commerce store with relatively all the features that you wish to include. In this article, I have rounded up around 10 free WooCommerce themes. These themes are handpicked by me and are definitely going to impress you. If you can like any of these, you can easily download them without paying a single penny. It is an awesome wordpress theme. it is fully developed theme from kadame. It is completely designed and ready to use. It has all the necessary and requisite tools which are required to design an excellent online store. It is a versatile design which is ideal for portfolio, personal, online store or any kind of business. 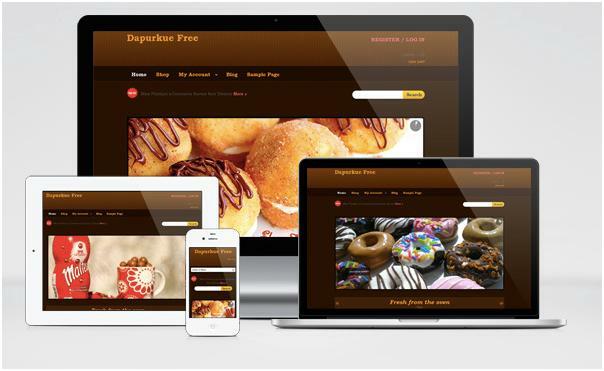 Dapur Kue is a specialized online store perfect for online stores which are related to culinary. Its sweet and simple design highlights your products with the clear and soft background adding a cheery on the top. The theme shall allow any of your clients to open and operate your website from any browser and device effectively and smoothly. The latest version ofiKonik free eCommerce is brilliantly designed iKonik WooCommerce Themes. It is best suitable to sell and promote your graphic design items like buttons, vectors, icons and other graphic stuff. This wonderful theme comes with two attractive slider options, horizontal slider for the introduction of latest and new products and vertical slider for the best featured products. You can select and customize the pagination according to alphabet, price and most recently searched products. 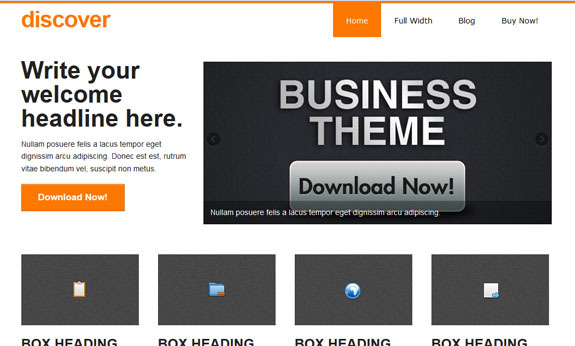 Wootique is a customizable and flexible theme for WordPress. It combines all the qualities of WooCommerce yet can be excellently customized. Your clients shall surely enjoy a world-class front end experience. All the wonderful features are packed in one theme and offered free of cost for you. WooShop Lite is a latest minimalist responsive theme which is particularly built for the WooCommerce. It adapts well to the smaller devices like iPhone and iPad. There is already a link for your social media network like Facebook, Twitter, Google+. There is an easy to use short code which can be easily used by you to feature your special offers and best sellers on the home page. It is suitable for all the browser types. 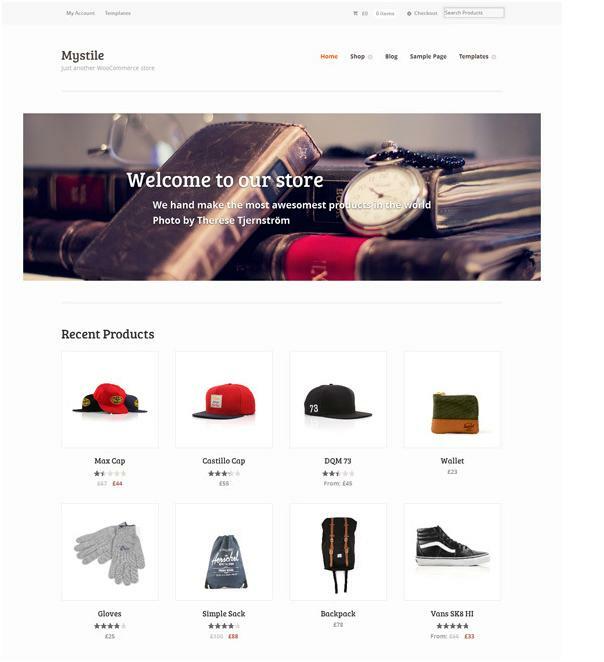 Mystile is a lightweight and clean WooCommerce theme. It is designed as a canvas and can be used as it is designed or you can even easily create a specific design meeting your requirements. 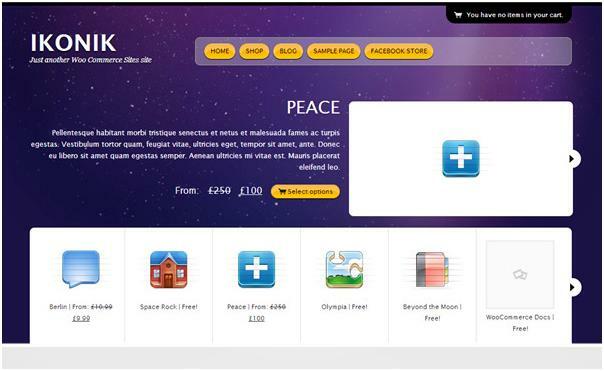 It is a responsive theme and comes with numerous colour schemes and many other options. The site can be customized to match with your branding image. You can select from violet, brown, industrial, orange, red, yellow and honey. You can easily display your contact details, featured products and blog posts on the home page. The home page can easily customize according to your requirements and preferences. 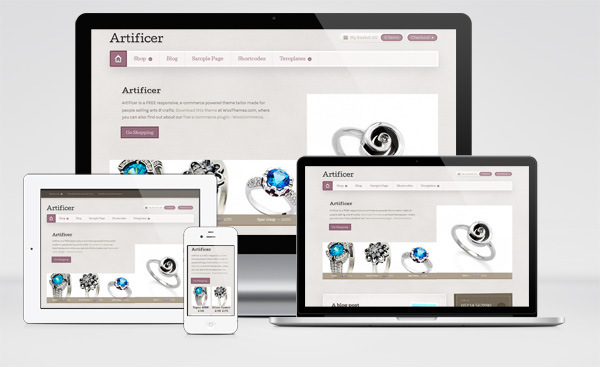 If your business would be viewed on different devise, then the unique characteristics of Artificer will be ideal for you. Your clients will be happy to browse your site on a desktop, laptop. Tablet and even on their smartphones. AyoShop is a free WordPress Theme which is developed for Genesis Framework. It is a clean and responsive WooCommerce theme which is suitable for any of online business for jewelry, food, clothing etc. Discover theme is indeed a very clean and neat theme in the colors of orange and white. The site is completely responsive which makes it possible for your clients to open it effectively on any device and browser. It comes with multi-level dropdown menu, varied options and threaded comments. 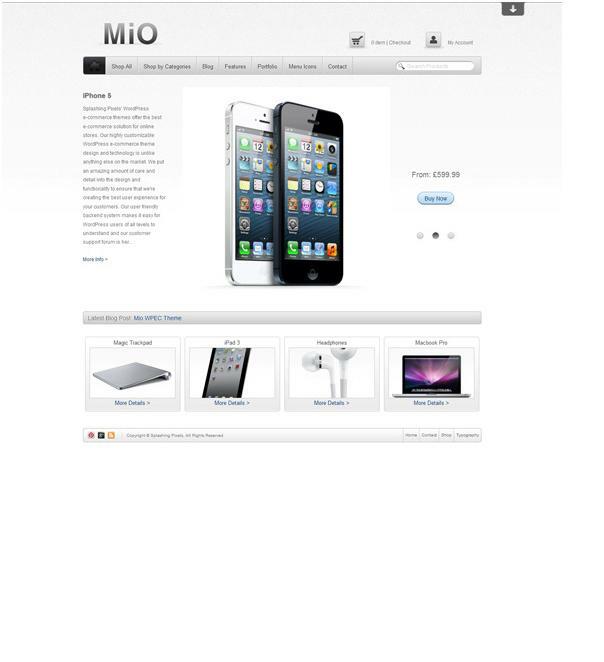 Mio is a free WordPress e-commerce which is a perfect blend of intuitive “Apple” like style with a systematic refinement. If you are looking for a clean and pleasing site, then shall be perfect for you. It is the best suitable for any kind of business who desire to have a website with aesthetic appeal.